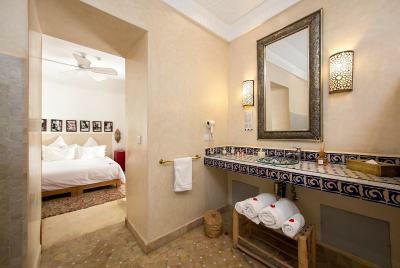 Lock in a great price for Dar Justo – rated 8.8 by recent guests! The food was excellent we ate there the first night and because we arrived very late and missed our dinner reservations. We liked so much we ended up going back another night and skipped reservations we had. The staff was always very happy to help. The rooftop was an amazing getaway from the craziness of the medina. 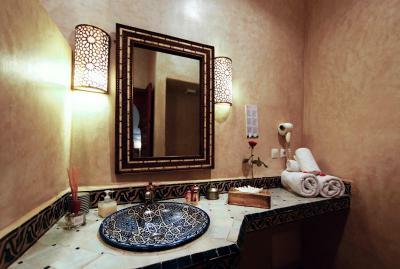 The spa next door was also amazing and very convenient location. The room was very clean. We stayed in Dar Justo 4 nights, then did a night in desert. 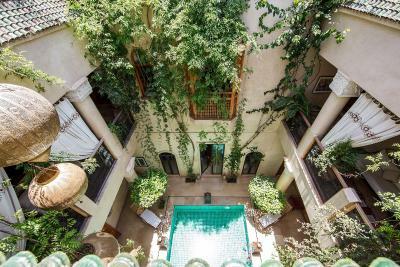 Upon our return to Marrakesh - we decided to try another Riad (this was planned before leaving the States) and although the other hotel was nice, the entire time we kept saying, "I wish we just went back to Dar Justo!" 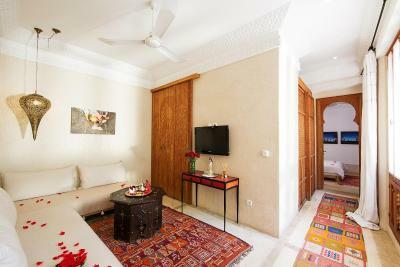 Good location , few steps from the souk and intersting fena mosque yard , cafes and restaurants , banks are near ,hotel is quiet , comfy bed , nice decoration , very good wifi , clean bathroom in general , the hotel is very nice , friendly and proffrssional staff. 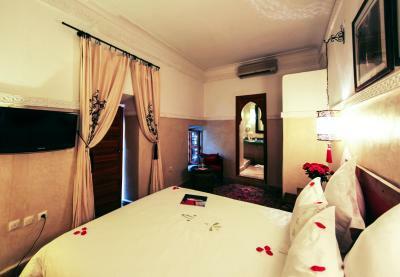 We had a wonderful stay are Dar Justo. The location, property and staff were wonderful. Their entire team went above and beyond to make our stay memorable and enjoyable (especially Nezah and Saad). 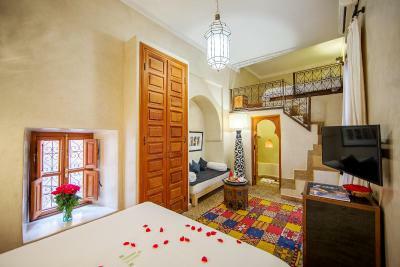 The riad and hotel rooms are stylishly designed and we spent many nights enjoying drinks and food in the beautiful roof top lounge area. 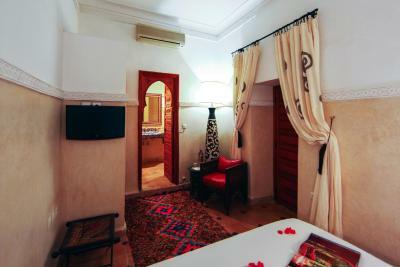 The location was perfect for walking to many restaurants, sites and a short walk to Jemaa el-Fna. We would 100% stay there again. 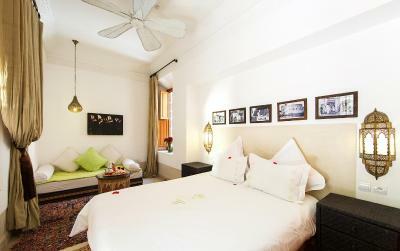 Charming hotel with lovely rooftop breakfast restaurant. Cozy and sunny ambience. Mrs Nezha from reception was exceptionally nice & helpful. Big “thank you” to her! 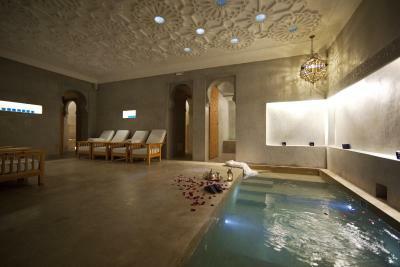 I went to Le bain bleu (attached to hotel) and got treated to lovely hammam and massage. Really enjoyed that too. Hotel is tucked away in quit corner yet easily in reach to shopping, restaurants etc. Will be back !! The staff was amazing and went out of their way for us!! The spa was awesome, best spa experience yet!! The place was beautiful, the restaurant was great as well!! 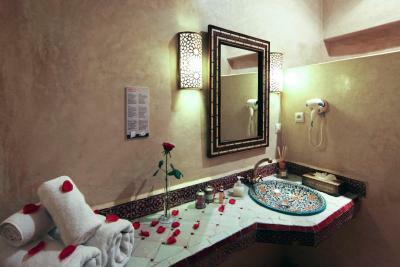 Staff were super nice, location was great, rooms were clean. The Staff was exceptional. 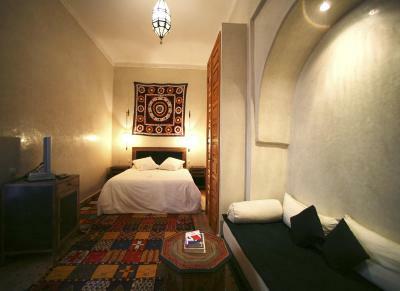 The Riad is nice. Location is great. Excellent location for touring the main sites by foot. Very convenient. Tranquil even though you are right in the medina. 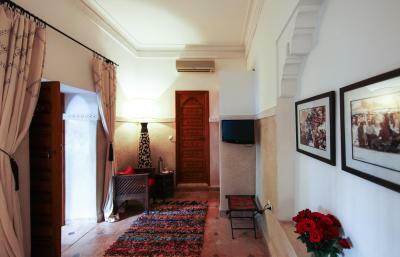 Characterful spacious room. 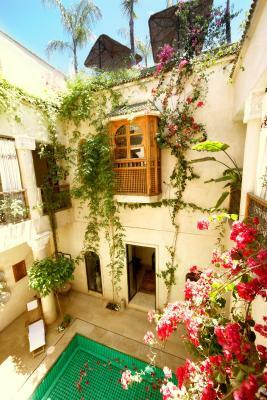 Great roof terrace. Well-priced evening food. 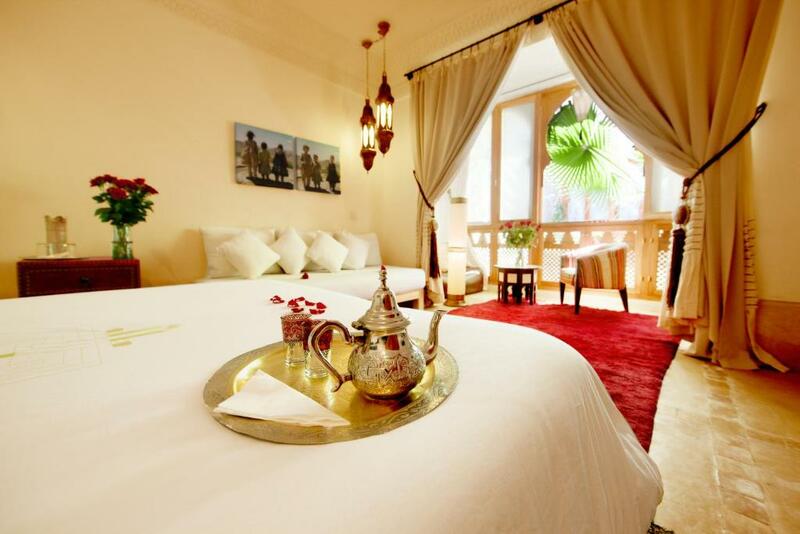 Great taxi pick up from the airport - highly recommended - the hotel is very difficult to find especially at night if you are not familiar with the medina. 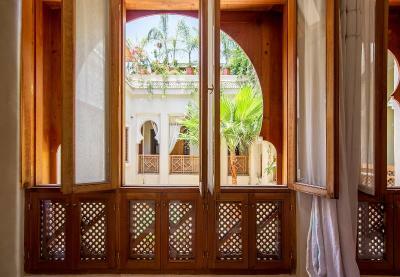 One of our top picks in Marrakesh.Located in the heart of Marrakech medina near Jamaâ El Fna Square, Dar Justo provides traditional accommodations with modern comforts. 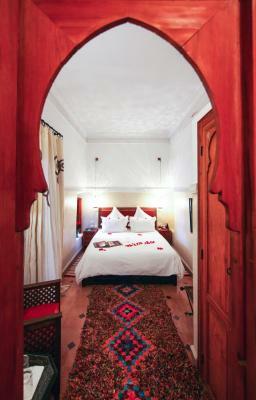 It offers panoramic views of the city and Atlas Mountains. 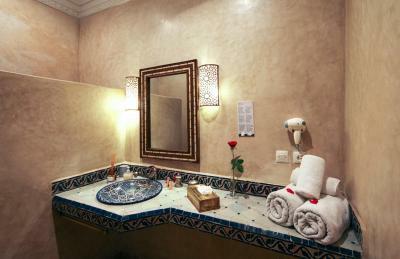 The air-conditioned guest rooms include an private bathroom, satellite TV and free Wi-Fi. 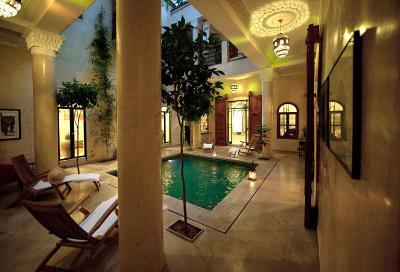 Rooms look over the internal courtyard and the refreshing pool. 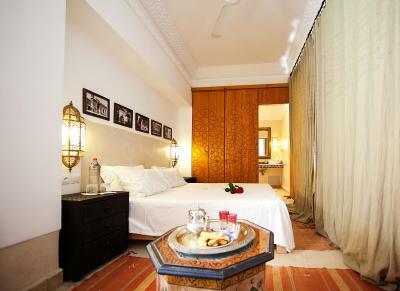 Breakfast is offered in the morning, as well as tea, pastries and fresh orange juice. A traditional Moroccan meal can be served on request. 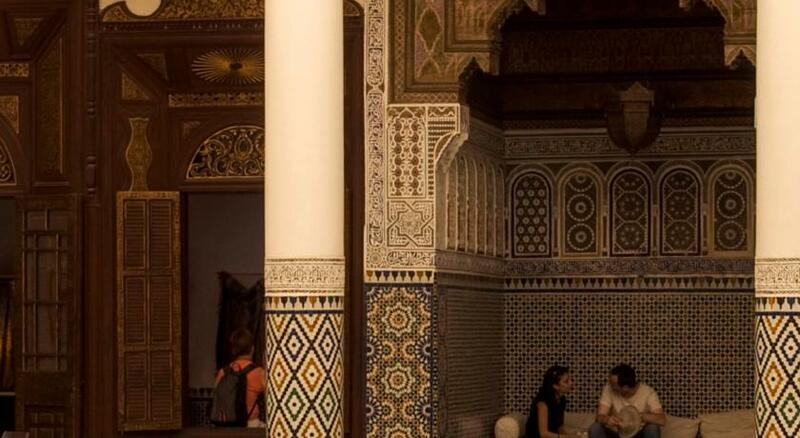 The Koutoubia mosque can be seen from the panoramic terrace. 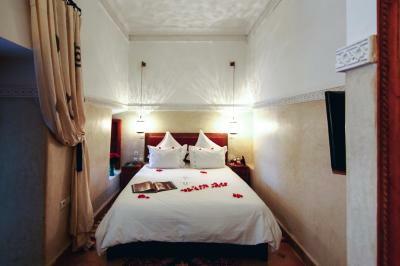 The friendly staff at the Dar Justo will be happy to arrange your visit, including an airport transfer. 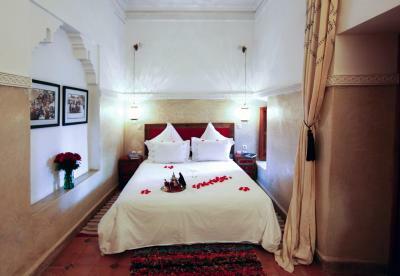 When would you like to stay at Dar Justo? 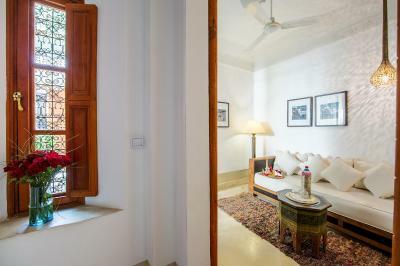 With arched doors and handcrafted rugs, this air-conditioned room offers a tiled bathroom, a seating area and free Wi-Fi access. 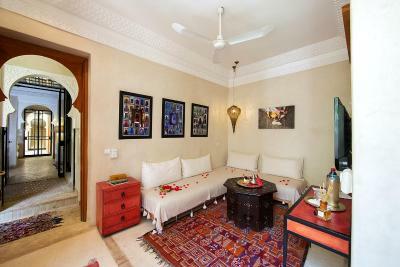 With handcrafted rugs and a tiled bathroom, this spacious, air-conditioned suite offers free Wi-Fi access and a seating area. 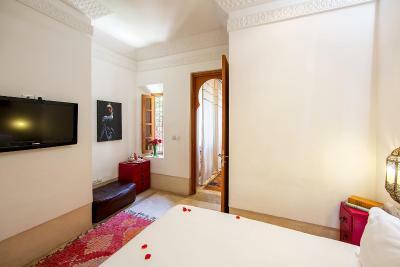 This quadruple room has a tile/marble floor, air conditioning and seating area. House Rules Dar Justo takes special requests – add in the next step! Dar Justo accepts these cards and reserves the right to temporarily hold an amount prior to arrival. 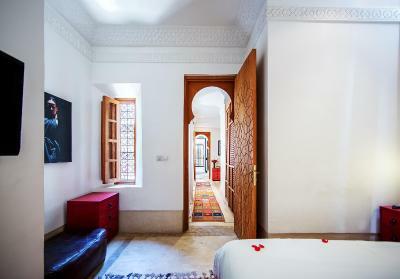 For airport shuttle service, please contact the riad in advance with your flight details and arrival time. This service is available at an additional cost. Please inform Dar Justo of your expected arrival time in advance. You can use the Special Requests box when booking, or contact the property directly using the contact details in your confirmation. Bedroom was comfortable but too hot no air on and no window outside. 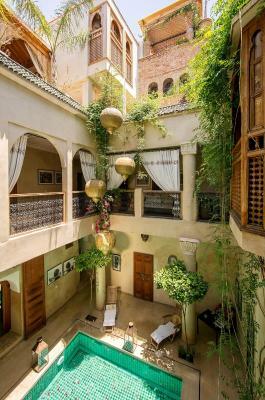 It was also located under the roof terrace where a party went on to 3am. And the brrakfast was not good. 3 people on duty but had to go and get coffee. Some cereal little bread little cheese and ham, fruit and eggs. For €140 b&b not very appetising! Everything was lovely except for the luggage guy...he met us at our taxi and carried our luggage to the hotel in a wheelbarrow. Once we arrived at the hotel we gave him a few euros as a tip but he wouldnt leave till we gave more. I’m not sure if he’s actually employed by the hotel but I was surprised the staff didn’t intervene—he was so rude! Breakfast was ok but a bit tired - no variety in fruit on offer. Limited choices. Coffee not freshly brewed. I would expect more for the price paid. Beware of expected time through customs. Passport control is a nightmare! We queued for nearly 3 hours to get through. Beautiful airport but they don't seem to have the staff! No bidet , no small refrigerator , kind of boring tv channels (but who want to stay) , no variable options in breakfast but it is good. Personally, the beds were a bit hard for our liking. However, this is typical of most hotels outside of the states and to be expected. 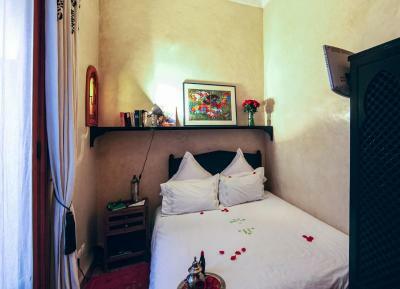 Great location, lovely staff (Nezha and Zachariah who helped us during our stay), spacious room, restaurant served delicious food. The staff also helped organise a last minute trip as a trip we had booked ourselves fell through. Nice pool too! 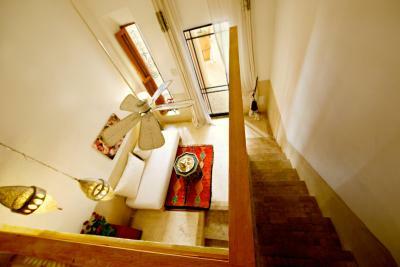 Small, cozy, clean and friendly! Our bathroom unfortunately had some ants and some mold which we mentioned to the staff. They were kind and the ants were handled immediately. However the mold in the bathroom didn’t change. They had live music one night and the bands were awesome! 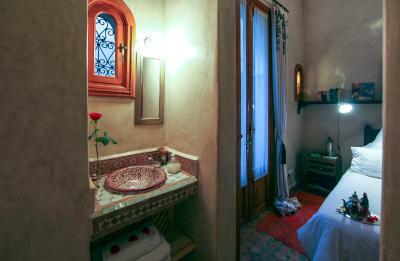 Also the hammam next door was great and priced fairly. 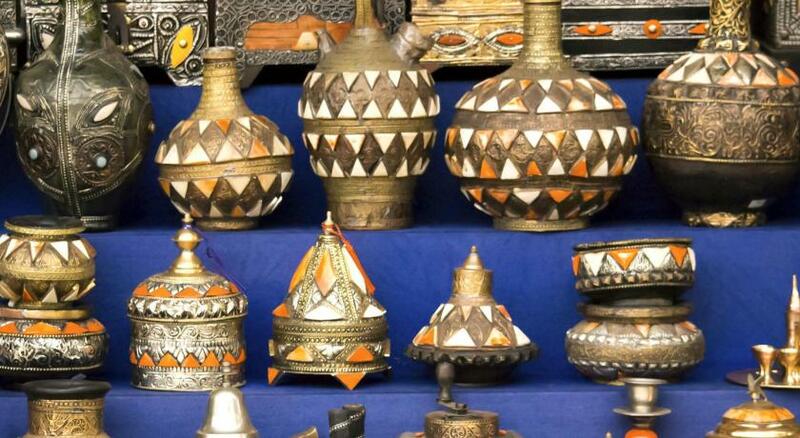 You have to walk through the souk to enter this gem so consider this if you will stay here for a long time. Roof terrace is very clean and beautiful as well as pool area. Very close to main square and in the heart of it all. 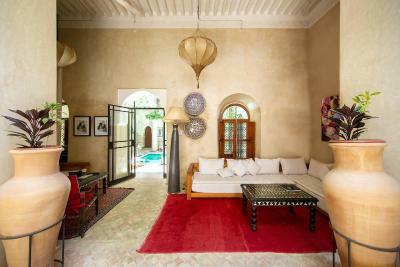 The beds were pretty hard and the central courtyard design of a Riad means it can be pretty noisy first thing in the morning when groups are meeting ready for excursions. 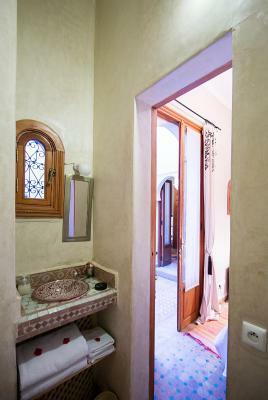 Location is perfect if you are looking for somewhere in the heart of the old medina. And it’s a beautifully decorated oasis of calm from the hustle and bustle of the streets outside. The roof terrace was a wonderful place to sit and read. 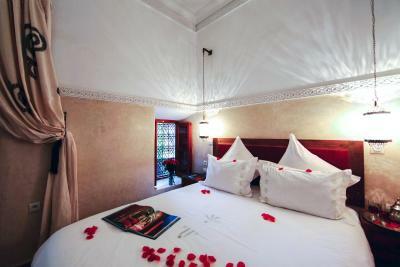 The riad is fantastically located in the heart of medina. Walking back at night feels a little uncomfortable through the middle of main souks as all closed up. We were absolutely fine but if travelling alone would recommend just using main alley to the square which is still busy. The Alley to riad is well lit and signed. Beautiful calm oasis in the middle of the medina. Very friendly staff and great hamman attached. Relaxing roof top terrace and plenty of comfortable seating areas for evening drinks. 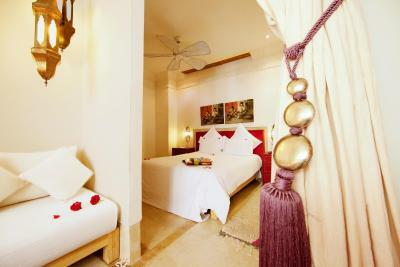 Beautifully decorated throughout. 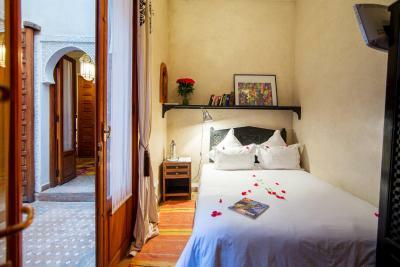 We really enjoyed our stay at Dar Justo. 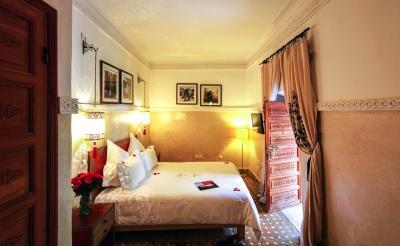 The staff were really helpful and the room was very comfortable. 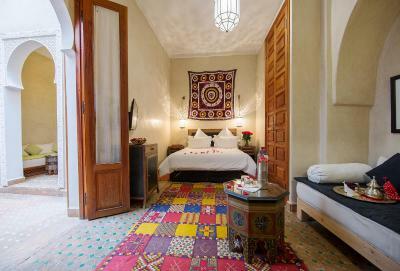 The Riad is well placed for exploring the souks and other place of interest e.g Le Jardin Secret. It was also very peaceful. 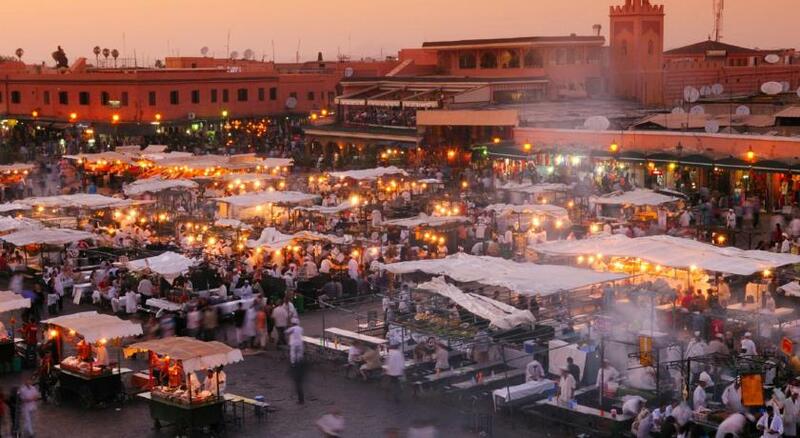 My first visit to Marrakech and I loved it.